I can't believe I didn't used to like guacamole. 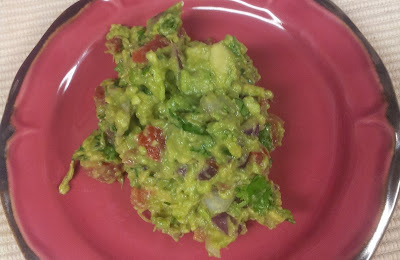 I had only had guacamole from restaurants and it just wasn't every any good. So for many years, I thought I didn't like guacamole. Or even avocados. I avoided them for so, so many years. I use them so much now, I feel like I am making up for lost time. 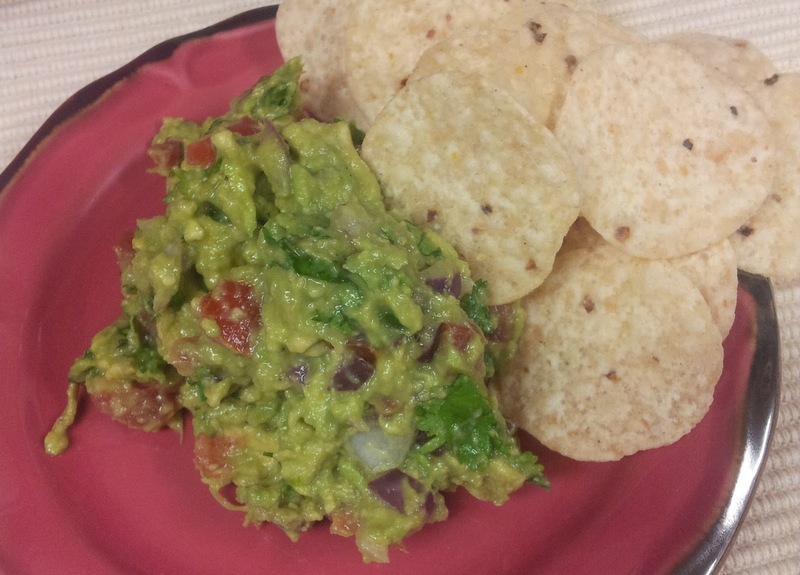 I love this guacamole and make it often. Sometimes I add red pepper, sometimes some cayenne for heat. I am doing 30 days of vegan recipes this month. Elena from Vegalicious will be helping along the way. She has an awesome 30 day Body By Plans Boot Camp. I figured guacamole would be a good way to start as I am sure that some of my recipes I'll be making will include guacamole. I am eating healthy vegan. I once watched a documentary about 3 people who were going to eat vegan for 6 weeks and were thrilled that Oreos were vegan. Uh, there will be no Oreos this month. 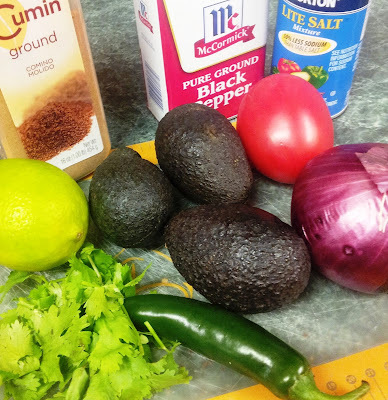 Low salt, no sugar, low oils, no processed foods. Healthy vegan. I am fairly new to this so if you notice a mistake somewhere or a recipe that is NOT vegan, feel free to let me know. Or, what I like to do sometimes. I throw the avocado, garlic and jalapeno in the food processor and get it all smooth. Then I throw the rest of the ingredients and stir.